Wendi is the office manager and has been responsible for Holland’s consistent growth and reputation for great customer service. Andrew designed and built every part of the rug showroom and rug washing plant. The flowing river rinse platform mimics historic methods used for thousands of years but with the added features of control and consistency found in a modern facility. Holland uses an automated belt feed dusting machine to beat the sand and dust out of a rug. A high tech centrifuge is used to get a wet rug 95% dry in just minutes. 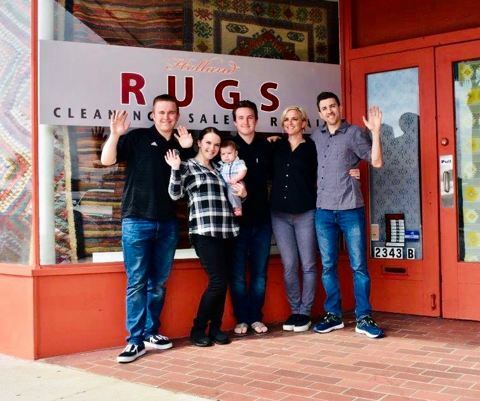 The Holland’s have a passion for sourcing special rugs from around the world. Providing a low stress “here to assist you” attitude at our rug showroom is just one way our rug experience is a step above the rest.